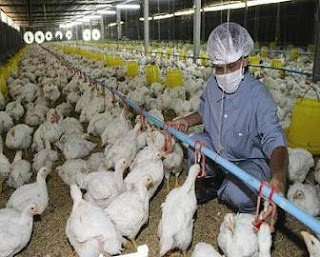 Dubai: The Ministry of Environment and Water (MoEW) has lifted a ban on import of live birds and poultry products from the countries of the Gulf Cooperation Council (GCC) and the Arab region. The MoEW had imposed the ban earlier as part of its surveillance on bird flu pandemic that communicated through import of bird products. Dr Rashid Ahmad Bin Fahad, the Minister of Environment and Water, on Sunday issued an administrative decision in this regard based on recent recommendations from the World Organisation for Animal Health (OIE). The nod has been given to lift the ban on trading in all species of birds and their products from the GCC and the Arab countries, according to a spokesperson at the MoEW. “The resolution specifies entry of any type of bird live or slaughtered, or their products by obtaining an import permit in advance from the environment ministry,” she said. “The exporting country should be free of bird flu at least 12 months before the date of shipment, with certificates and documents from government agencies to prove that the products are free from virus or contamination,” she added. “The shipment of live birds should carry veterinary health certificate from competent authorities of the exporting country to ensure that they are noted affected with any type of infectious disease. Also the importer should produce a certificate issued by an accredited laboratory within a period not exceeding 21 days of the export that the birds or products have been tested clinically,” elaborated the ministry official. “In the case of breach of any condition, the imported consignment will be rejected and returned to the country of origin or will be confiscated and destroyed in the UAE in accordance with the quarantine procedures,” she concluded.